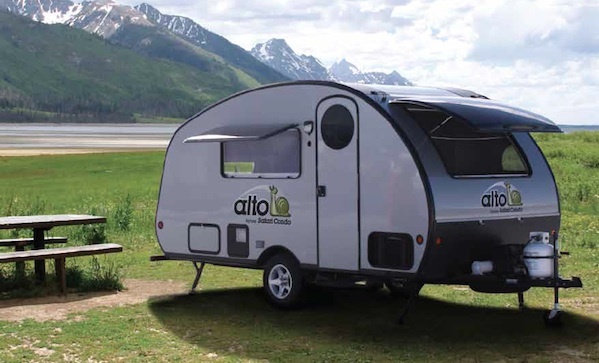 We love the look of those classic tin-can travel trailers, but we’re more into modern conveniences, like those of the Alto travel trailer ($27,000). Comes with an expanding roof, an aluminium frame, a king size bed, a dining area, interior shower, and premium detailing. Most importantly, it has 75% less aerodynamic drag than average trailers, meaning that a smaller vehicle can pull this bad boy. Do SmartCars come with trailer hitches?